For me a deejay is a musical preacher, preaching his inner emotions of consciousness in form of Music. Mike Molina was born in the UK, and has been a DJ from the age of 15, when he discovered his love of music at private parties and small clubs. UK, Spain, Los Angeles and New York. Being only a kid, at age of 9 began singing in local churches and weddings, years later his pas- sion for music and rare groove vinyl’s became an addiction. Mike used to spend his weekly salary as a teenager in the record shops around the London´s West End. Soon he became a DJ at private parties and local clubs in London, at age of 18 moved to Spain with his record case full of the latest releases of that time. As soon as he was settled in Spain he entered the music industry collaborating with record labels, radios and night clubs where he was able to reflect his cultural background and taste brewed in the UK in a great variety of styles, as Reggae, Funk, Soul, Latin & Garage. His artistic development continued towards the discovery of Soul music. Later entering the world of production, radio and promotion, he grew as a DJ as he widened his palette of musical styles: Jazz, NuJazz, Funk, Latin, Reggae, Afro beat, Deep & Soulful, House, Disco & Nu Disco. His sessions have always been elegant and positive. His devotion for good music is well known among those lucky enough to have witnessed his sessions, which to him are a form of expres- sion and a way of life, reflected in the positive reaction of the dance floor. 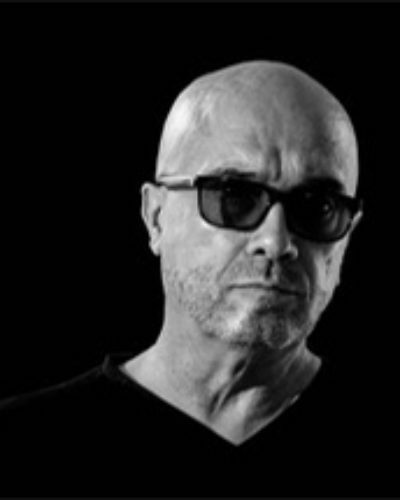 Mike has been a pioneer in Spain introducing styles and Rhythms in a territory controlled then by comercial Radio Formulas, not an easy task but always surprising in his sets and selections with the most vanguardist sounds at that time, Rare Groove, Old School, Downtempo, Trip Hop. Deep House & Soulful. Mike has been working and keeps enjoying his deepest passion for music during last 35 years. At present being the Musical Director of Marbella Club Hotels and Puente Romano Suite Clubs in the ¨Marbelli´s Golden Mile¨ and producer for his own radio shows, Suburbian Roots in ww- w.lick.fm and Follow My Beats www.roxx.fm Radio, Costa del Sol Spain.